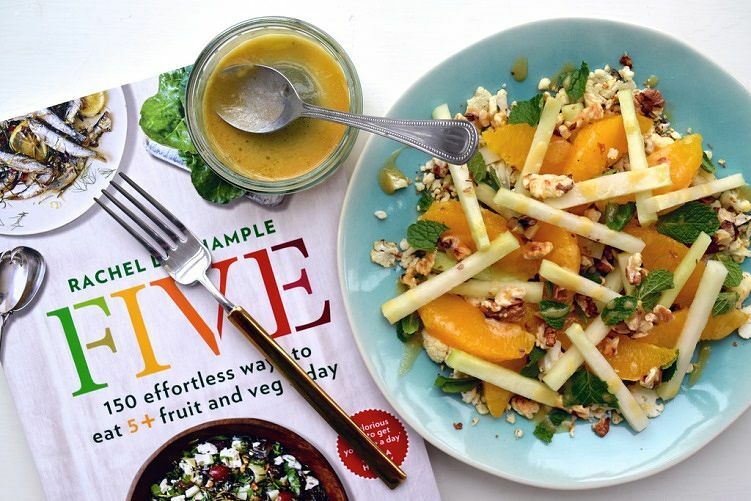 Using an Abel&Cole fruit and veg box and inspiration from Rachel de Thample’s new cookbook FIVE, we challenged bloggers to come up with a recipe that included your 5+ a day! 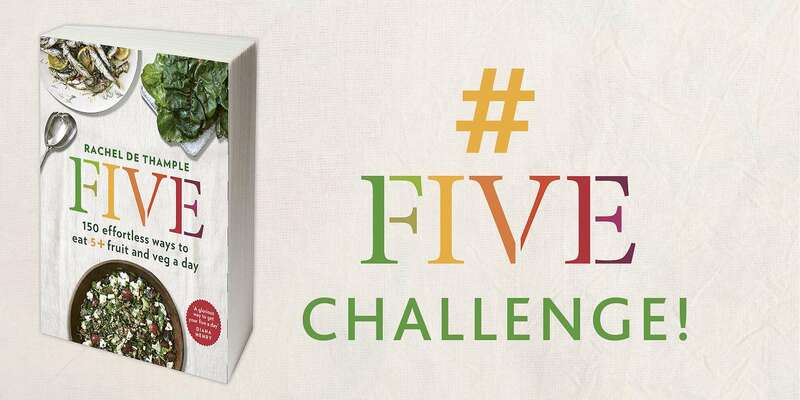 Join us in the #FiveChallenge by trying to pack in the vitamins and send us your results! 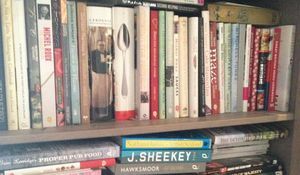 Rachel Phipps is an Anglo-Californian inspired food blog based around the idea that anyone can cook and eat well, full of bright, easy and delicious recipes, food features and restaurant reviews. While I don't think I ended up with a full five portions of fruit and veg on my plate (I only managed three, using the portion calculation chart at the front of the book), I approached the challenge with the aim of creating a delicious and filling lunch which was mostly made up of vegetables of different textures, using toasted nuts and dressing as more of a garnish. Roasting cauliflower and kohlrabi were both totally new to me, so I'm glad I've found two more ways I can pack the fruit and veg into my everyday eating. 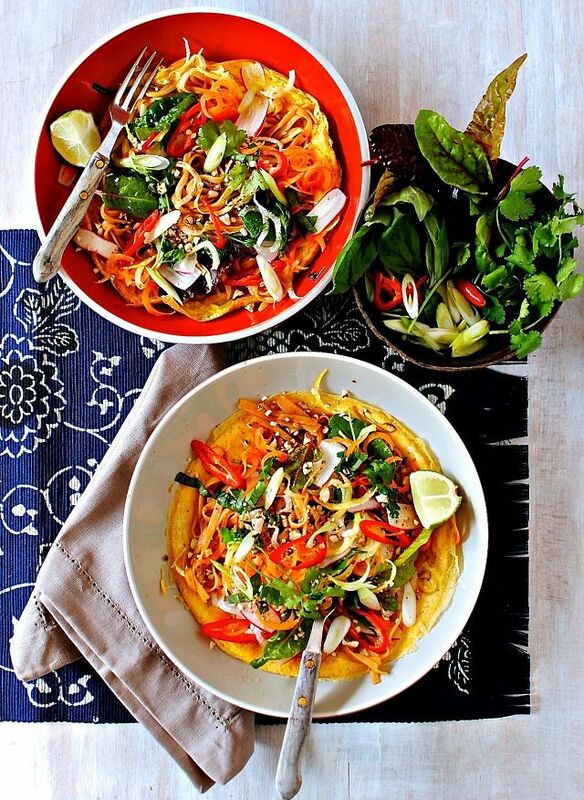 I'm Kellie, an ex-pat American cancer health educator with a taste for - quite often spicy - global food made with fresh, seasonal British fruits, vegetables and herbs. Food To Glow is founded on the principles of plant-based eating but with no strong advocacy for any diet, other than one that includes plenty of whole, real foods. 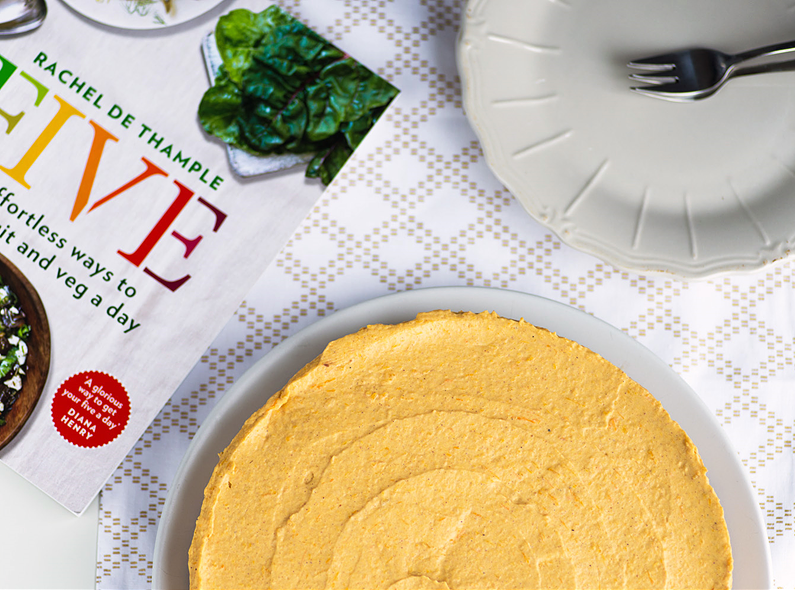 Although I'm an omnivore, I speak fluent vegan: most of my non-vegan recipes will have vegan alternatives, as well as gluten-free and soft food diet options where appropriate. 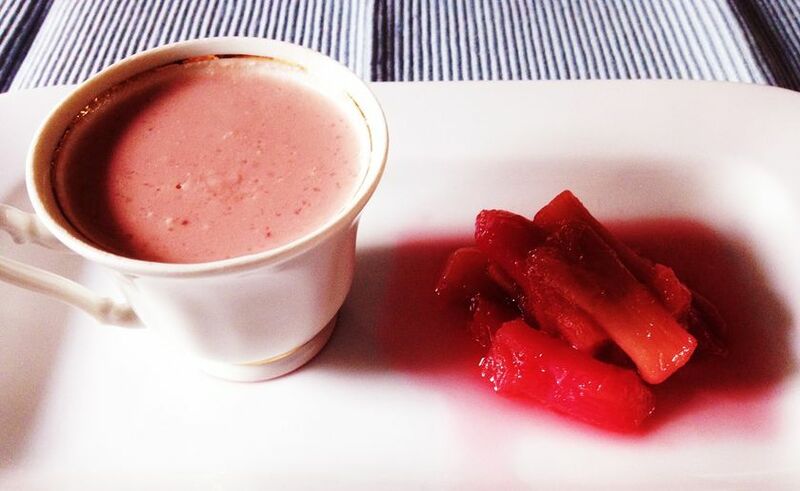 I try and include a variety of fruits and vegetables in every recipe I develop. More is better when it comes to fruit and veg! Mondomulia is a food blog by Italian photographer Giulia Mule', where you can find restaurant reviews, recipes and travel guides (always with a focus on the best places to eat out). Because of my job as a food blogger and photographer I have the opportunity to eat out a lot, often because I am invited to review a restaurant or I'm attending a launch party or a bloggers' dinners. I eat some of the most amazing dishes in London and I can never say no to cakes. Therefore my home cooking is very simple and healthy, featuring a lot of fruit and vegetables, which I sometimes miss when I'm eating out. 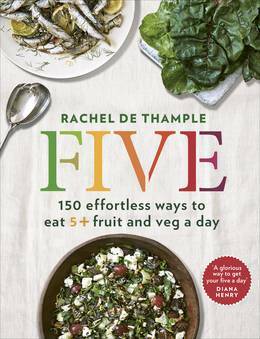 I love the recipes on Rachel's new book as they make it very easy to eat your five a day every day! 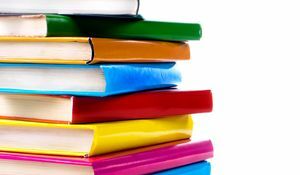 I've lived on three continents and travelled widely which has had a huge influence on my palate as well as my cooking. I love strong, bold flavours but I also like keeping things simple and not overloading ingredients and spicing so that the flavours of the food has a chance to shine. I am passionate about proper animal husbandry, shopping local, supporting independent producers and eating in season which is something that I've also passed on to my teenage son. 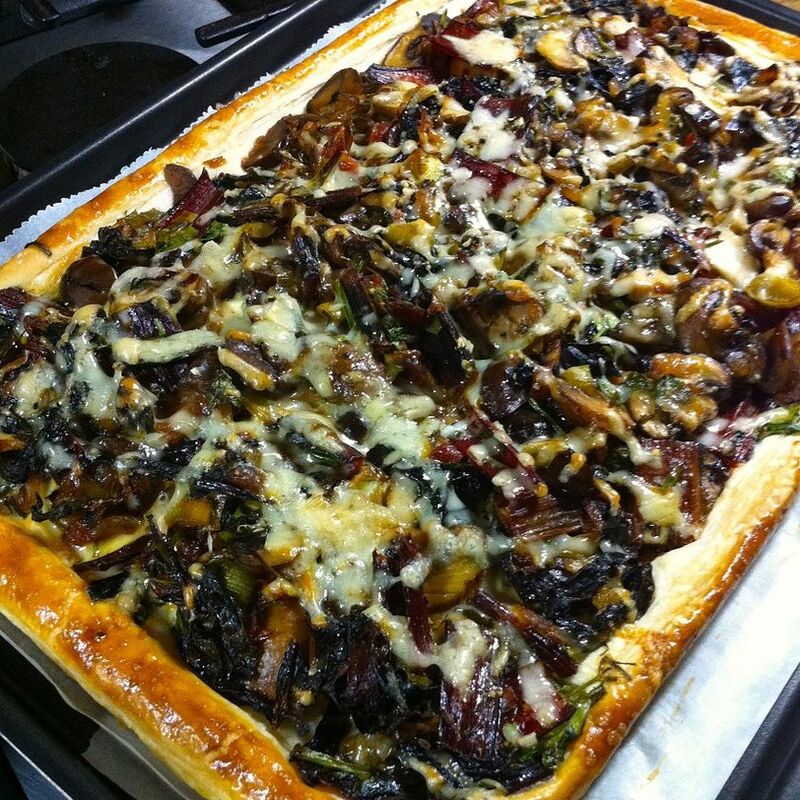 We love our fruits and vegetable and inspired by Rachel de Thample's brilliant new book, FIVE, I've made a Ruby Chard, Shitake Mushroom and Chestnut Tart which I hope she would approve of! Embracing country living, Margot Tries the Good Life is the musings of a rather batty townie attempting the good life in rural Hampshire with an absurdly patient husband, teenage 6 year old, fearless toddler as well as two rather bonkers cats, a working cocker spaniel puppy named Monty and chickens. We love fruit and veg in our house but I am always looking for new ideas to tempt the children into eating more vegetables and ways to make sure that we all eat five a day. Growing our own fruit and vegetables has made a huge difference to the children’s attitude towards the green stuff but turning it into delicious treats is what it’s all about. 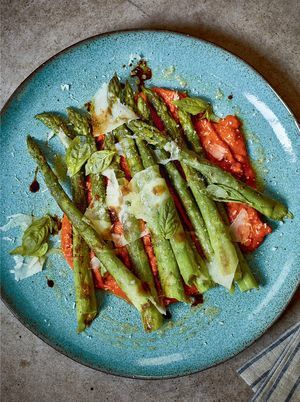 Transport your guests to Spain with this laid-back menu of knockout dinner party dishes from Spanish cookbook, Sabor.